If you want to gain traction in the digital marketplace, the best online advertising channels need to be part of your marketing plan. There is no one set answer to which sites offer the best online advertising opportunities. The best platform for your brand will depend on your products, the audience you wish to attract and other factors. Facebook is so ubiquitous that the company says one out of every five minutes spent on mobile is either there or on their sister site, Instagram. There are about two billion people who log into Facebook every month. While the network is promoted as a way to keep up with family and friends, a large number of Facebook users follow and interact with brands on the site. With continually changing algorithms, it can be hard to get organic traffic on Facebook. This is where paid advertising can help. Paying for placement on the platform allows you to get in front of more people, and to get in front of the specific ones that you want. Paid ads come in a number of different forms. Promoted posts, for instance, look just like regular posts from your Facebook page, but are more likely to show up in a user’s feed. Display ads can also be inserted into the feed in the form of videos, slideshows, or photos. You can even advertise in the standalone Messenger app. Facebook allows for an extremely high degree of market segmentation and targeting. While this can be difficult to navigate if you do not have strong technical skills, this feature can allow you to save large amounts of money by avoiding useless clicks. With all of the advantages of Facebook advertising, there are also some downsides. Changes in organic visibility mean that more people are competing for paid ad space. This can increase costs and can make it harder for your ads to stand out. The company has also changed how they handle ads that directly invite engagement through phrases like “click here” or “join now.” While a call to action is recognized as a powerful tool, it can be one that hurts you if you advertise on Facebook. As with any platform, you will need to experiment and track your success to see whether it is the best online advertising option for you. Instagram, owned by Facebook, gives you access to a massive audience. The app boasts 500 million users who open Instagram every day. While this is a far smaller user base than Facebook, it is also one with a high concentration of people from a desirable demographic. The audience on this app trends toward the highly coveted Millennial and Gen Z age groups. Instagram is a highly visually appealing platform. If your products lend themselves well to photos and videos, it can be an ideal and eye-catching place to get interaction. The platform allows you to add your business address and phone number to all posts, meaning that it is easier for prospects to reach you. There are critics who say that the information that they can get from Instagram about who is clicking their ads and how those customers behave is sparse. If you are looking for more detailed reports, the ones that Instagram provides may leave you wanting more. You can also only access Instagram’s full features in their mobile app. This can be a disadvantage if you prefer to manage your business from a desktop environment. However, if you are highly mobile-literate, using this site will feel intuitive. Since most smartphones now feature high quality cameras and even editing equipment, you can even create a full, professional ad campaign directly from your phone. Snapchat has been a force to be reckoned with since the ephemeral social media platform first emerged in 2011. When they added paid advertising in 2014, a wide range of brands jumped on board to take advantage of the new opportunities this presented. Geofilters, a great tool for brand recognition. These put a transparent filter over the user’s snap. Sponsored Lenses, which are interactive filters that Snapchat users can add to a video or photo. Lenses are activated through gestures, such as raising your eyebrows or tapping the screen. Snap Ad videos. These were the first video ads to be released in a native vertical format that capitalizes on the app’s mobile-first environment. While some Snapchat advertising is self-serve, others require the participation of a Snapchat representative. Some advertisers may find that the reach that they want is cost-prohibitive. Work on filtering to eliminate those unlikely to buy while getting your ads in front of those prospects most likely to convert. If the Snapchat audience is the right one for you, you could find that this is the best online advertising outlet for you. To achieve the best online advertising experience on Google AdWords, you will need some technical expertise. Many advertisers find this venue’s offerings counter intuitive; however, once you understand the many features, this can be the best online advertising option for brands in many niches. Google AdWords serves ads in search results on thousands of web pages. Some Google AdWords advantages included targeting your ads based on geography, demographics and other criteria. One of the problems that many people have with Google AdWords is that they find it too feature-rich. The interface can be overwhelming the first time you look at it. However, if you take the time to use their tutorials, you can quickly learn more about this powerful venue. Another downside the some experience is that an AdWords campaign can get very expensive, very quickly if you are not careful. Without the right controls, you can run up a bill for many useless clicks in hours. To stay on top of costs, set daily budgets and target carefully. Revisit campaigns often. This platform takes a great deal of hands-on interaction. However, it can be the best online advertising option once you have learned how to harness its power. While many people think only of Google’s text ads, the search engine giant also has a very powerful Display Network. Display ads do not show up in search. They are included on websites throughout the internet in a wide range of topics. Google says that their ad network reaches 90% of internet users and is displayed across two million websites. Most people have seen Google Display Ads, whether they realize they have or not. These ads will appear as banners or small boxes on sites that promote products or services. Often, they are related to items you have shopped for online or the content of the site you are reading. There are experts who argue that Google Display Ads may not put your product in front of users at the optimum time. People who see your ads are not currently shopping. They are typically reading news, viewing videos or engaging in another activity. However, the exposure at this time can be helpful in creating a relationship later on. Most marketers agree that many touches are needed before a customer feels familiar enough with a brand to buy. One marked advantage is that you can get your ad in front of people without paying for it. Like Google AdWords, Display is Pay-Per-Click. So, a surfer may see your ad, not click, but search for you later. Because of the nature of the Display network, this is among the best online advertising choices for remarketing. By using the targeting tools to put your ads in front of people who have already expressed an interest in products like yours, you can increase the chances of getting a sale. When people think of search marketing, they usually think only of Google Adwords. This can be a disadvantage, as Microsoft’s search engine Bing has a lot to offer. According to Microsoft, Bing accounts for 33.5% of all searches performed in the US. Every month, there are five billion searches performed on Bing. This audience includes 68 million people who are not reached by advertisers who only promote on Google products. Bing aims to make search advertising as easy as possible for their clients. Their import tool allows you to bring in your campaigns from Google AdWords. This can be a great time saver if you have dedicated a great deal of time to researching the perfect targeting on AdWords. They also have a wide array of teaching tools to help people get familiar with the network. The Big Ads Accredited Professional certification program allows you to gain in-depth understanding of the network. You can also watch webcasts from their educational library on the topics that interest you most. Bing can offer access to customers that many of your competitors may be forgetting. If you advertise on a site that your audience uses but your competition doesn’t, this gives you a chance to capture attention. Bing advertising users say that they like the transparency and control that is offered when dealing with search partners like msn.com. You can see what clicks cost on each site. You can also eliminate partners who you find too expensive for the results they provide. While every campaign is different, there is evidence that advertising on Bing is much cheaper for similar campaigns. This can be an advantage to smaller brands with smaller budgets. It can also be a great resource when you are testing a new idea and are not ready to commit to a large paid marketing budget. However, there is no getting around the fact that this is a far smaller advertising network than the one offered by Google. Experiment with campaigns and watch how much you are spending on each customer acquisition. This is the only way to figure out whether you should be advertising on Google, Bing or both. This social media platform has been around since 2006. However, it’s still a key platform for individuals, influencers and brands. There are around 500 million Tweets every day. While this indicates a highly active platform, it can also make it hard for brands’ individual Tweets to get seen. Using Twitter ads can put you in front of a large number of prospects who you may otherwise not have reached. Two thirds of Twitter users say they’ve discovered a small or medium business there. Around 94% say that they plan to purchase items from the brands that they follow. Twitter ads come in a number of forms. The simplest is the Promoted Tweet. These are just like your brand’s normal tweets with one big difference: they can be seen even by people who do not yet follow your brand. Like regular tweets, they can be retweeted, liked and replied to. These offer a great chance to start a conversation with potential buyers. Promoted accounts put your entire account in front of potential users to gain new followers. Twitter users are very open to this sort of advertising. 85% say that Promoted Accounts help them find new products and services. Promoted Trends put the trending topics you want in users’ trending feed on the left side of the home screen. This can help increase engagement. The free communication that makes Twitter such a vibrant platform can also be a downside, however. 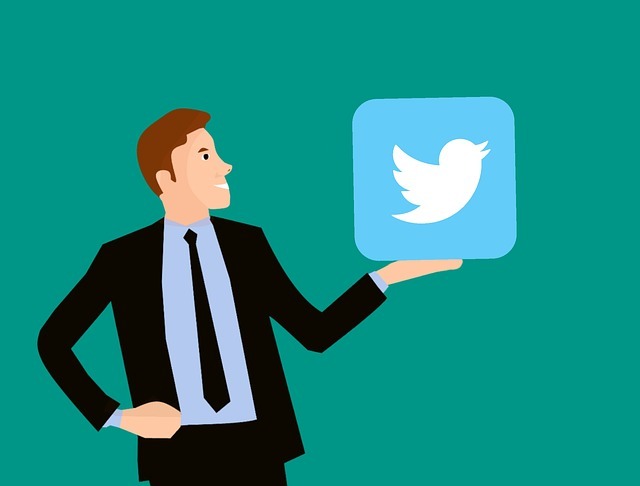 Some brands have discovered that conversations that started with Promoted Tweets or Trends did not go in the direction that they had planned. When starting a promotion, be sure that your reputation management team is on deck to put out any fires if something goes wrong. Keep topics non-controversial and agreeable to capture positive buzz without making negative trends. For most brands, a combination of promotional networks is needed. Try experimenting with multiple ad venues to see which ones produce the best results for you. Test similarly targeted ads on each, or try targeting different audience segments on different networks. By continually observing your results and making adjustments to your strategy, you can get the best out of each network and bring the most people to your brand. Don’t have time to continually monitor all your social media efforts? Hire an expert in social media management. Schedule a time to chat with us today, and we will make sure your business is taken care of. Hi. You can help me with my business advertise online? And how much cost this involve? Hi Ana-Maria, here are our pricing options for the methods we discussed in this article.